Forty South Publishing is delighted to announce the winner and finalists for the Tasmanian Writers’ Prize 2017. 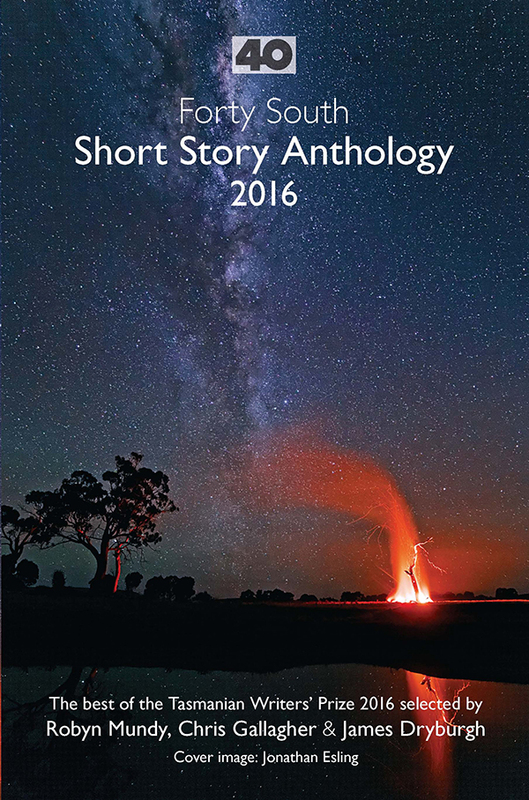 Once again there were entries from all round Australia and New Zealand and the judges, Peter Grant, Margaret Johnson and Fiona Stocker, selected eleven stories for publication in the 2017 anthology. The winning story by Jennifer Porter will appear in Issue 85 of Tasmania 40° South magazine (due out in June) and all finalists’ stories will be published in the Forty South Short Story Anthology 2017. The anthology will be launched by James Dryburgh at an event during the Tasmanian Writers and Readers Festival in September 2017. All entrants will receive an invitation to the launch. Congratulations to the winner and finalists, and many thanks to all those who entered – your support is vital to the continuation of the competition. Jennifer Porter has written reviews for ArtsHub and has had work broadcast on Radio National. Her adult novel manuscript, In Your Image, has been shortlisted and longlisted for a number of national and international literary prizes. She also writes poetry, short stories and children’s books. Jen participated in the 2016 Hardcopy program (a professional development program run by the ACT Writers Centre) and travelled to the Philippines to take part in a Writers Immersion and Cultural Exchange program (WrICE) residency in 2017. Judges comments: The winning story, The Reverend, is a nearly flawless piece of writing; taut, engaging, and rich in characterisation, despite its relative brevity. Some other entries risked more in terms of creative reach, but achieved more uneven results overall.